Denmark submitted a record number of patent applications to the European Patent Office (EPO) last year. Denmark is the country with the greatest increase in patent applications in Europe, shows the European Patent Office’s new annual report. It is particularly companies in the health sector who do the heavy lifting – along with VESTAS. Denmark is in the lead when it comes to innovation. “It’s very positive that Denmark is in the lead when it comes to patent applications. We’re a country and economy that live off good inventions. This is particularly the case in the health sector, where we have a lot of very talented - and very innovative companies in Denmark,” she says. When the European Patent Office (EPO) rates Denmark’s performance in terms of the number of patent applications per inhabitant, the country wins bronze as the third most innovative nation among EPO member countries. In fact, we’re only trailing a few applications behind the Netherlands, which comes in second, and Switzerland, in first. We can thereby hold on to last year’s bronze medal. “Denmark demonstrates its strength within innovation, as well as a clear strategy among Danish companies and innovators to protect and safeguard their inventions through patenting,” says President of the EPO António Campinos. According to the EPO, the industries in the EU that make intensive use of patents and protected designs and trademarks employ around 60 million people, accounting for 42 per cent of GDP and over 90 per cent of external trade. “Denmark is therefore an example of how a clear focus on research and development as well as patenting can lead to the creation of jobs, growth and results,” he says. At DI, Director of Health Policy Mie Rasbech notes that a great deal of Danish jobs and export earnings are based on patents. “It’s good to see that companies are bringing home so many patents, but they also have to continue investing and thinking new if we’re to remain competitive,” she says. Mie Rasbech regrets current talk of implementing new rules at EU level. “The new rules could have a negative impact on the many companies who need patents to protect their investments in new ideas and treatments. It’s important that we do everything we can in Denmark to avoid this,” says DI’s health policy director. 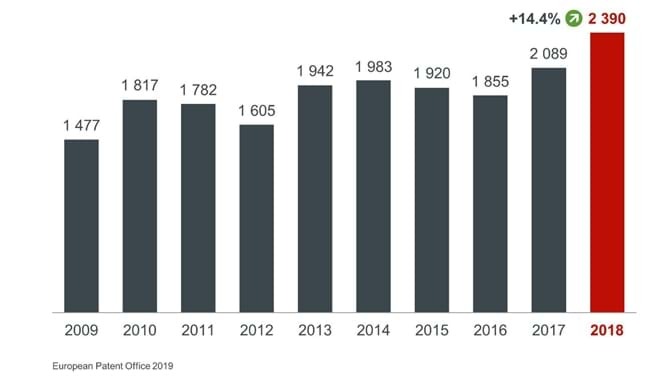 With 192 applications, Novozymes was for the second year running the Danish company that filed the most patent applications, followed by Vestas and Novo Nordisk. 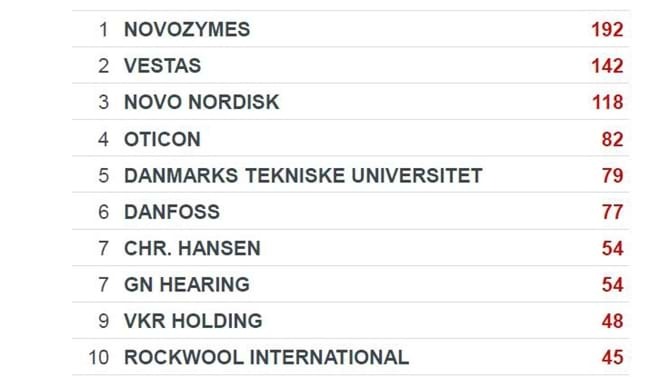 Furthermore, in EPO’s global ranking of biotechnology companies, Novozymes comes in third place, while Novo Nordisk is number 20 within medical technology and 19 within pharmaceuticals. 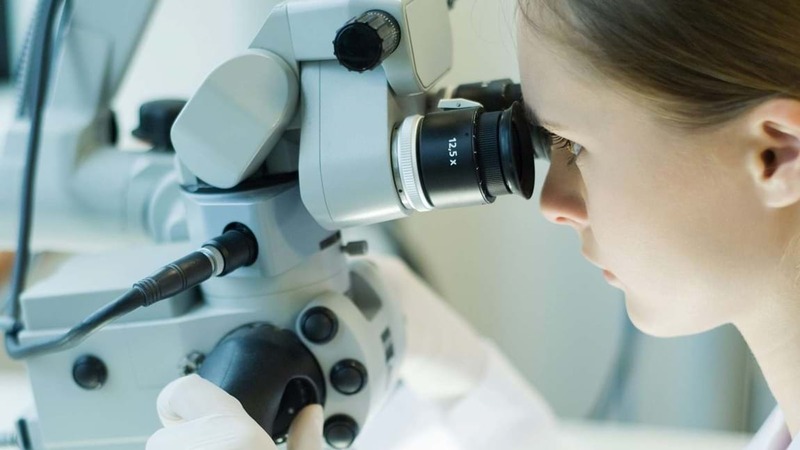 Globally, medical technology was the field in which most European patents were sought in 2018, and pharmaceuticals and biotechnology are among the fields with the greatest increase in the number of applications. The EPO enables companies to obtain comprehensive patent protection in up to 44 countries, corresponding to a market of over 700 million people.